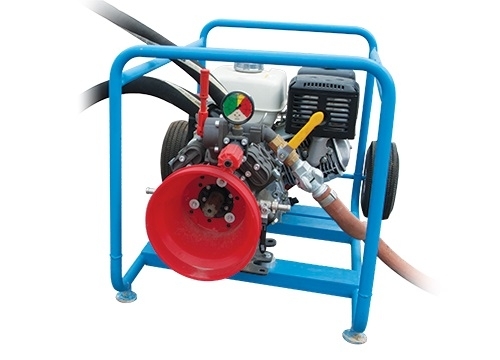 Improve fiber optic cable installation distances with the Condux Gulfstream 400 High Pressure Water Pump. By combining cable blowing operations with a high pressure water source, installation distance in certain situations can be increased. 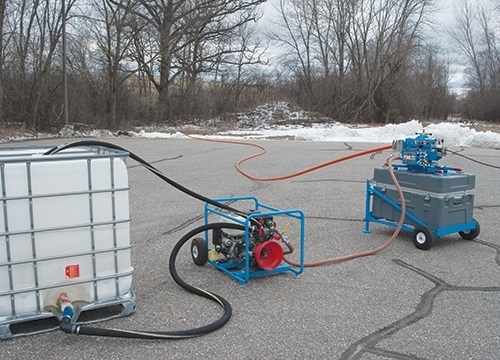 The Condux Gulfstream 400 High Pressure Water Pump is specifically designed to operate with the Condux Gulfstream 400 Fiber Optic Cable Blower and configures quickly to blowing operations. Pressure settings can be easily adjusted at the blower allowing users to set water pressure to meet the specific requirements of the job.